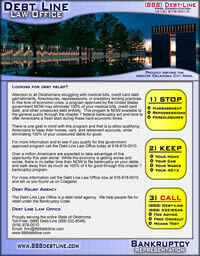 Do you want to know whether you qualify for debt relief under the Bankruptcy Act? 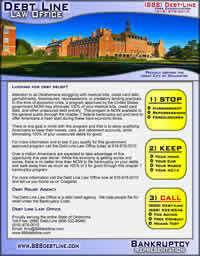 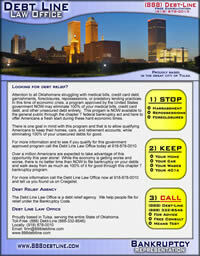 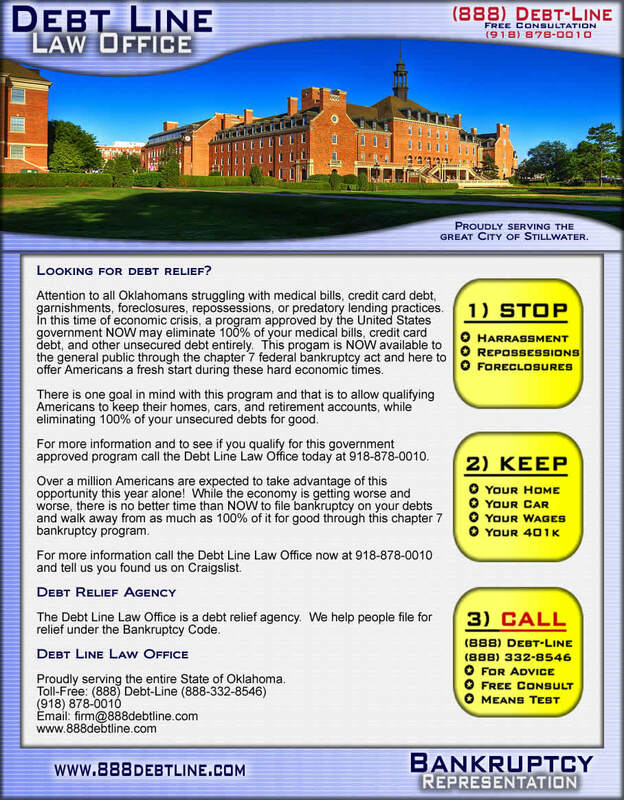 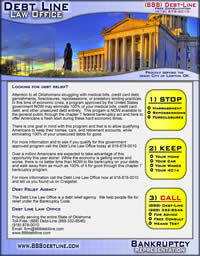 Would you like to know the costs and procedures of an Oklahoma bankruptcy? 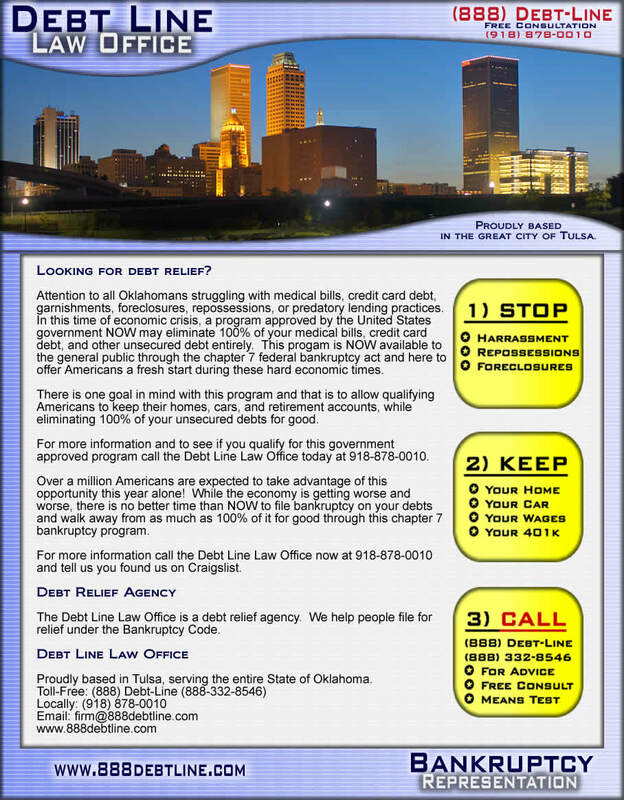 Call (918) 878-0010 for a free consultation with a Tulsa bankruptcy lawyer or (888) Debt-Line for an Oklahoma bankruptcy attorney handling bankruptcies statewide. 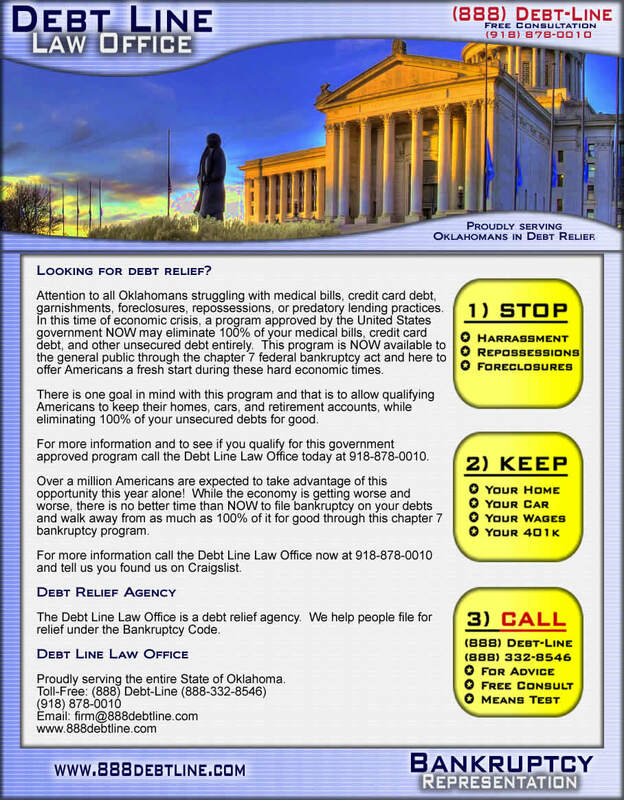 Our attorneys have years of experience in Oklahoma bankruptcy law and in applying Oklahoma bankruptcy exemptions, so that Debt Line Law Office clients can keep their exempt property and still discharge unsecured debts through a Chapter 7 bankruptcy in Oklahoma. With a ten (10) minute, free phone consultation with one of Debt Line's Tulsa bankruptcy lawyers, you can know what you qualify for and the costs and procedures involved.